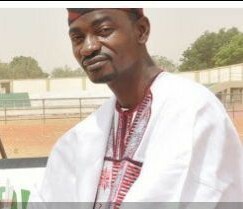 The Nigeria Volleyball Federation (NVBF) North West Zone has appointed Online Editor of New Nigerian Newspapers, Jacob Onjewu Dickson as a member of the Zonal League Management Committee. The letter of appointment dated February 21, 2018 was made available to newsmen by Mr. Onjewu Dickson on Tuesday March 13, 2018. According to the letter which was signed by Engineer Musa Nimrod who is the North West Zonal Representative as well as the NVBF President, the appointment was ahead of the forthcoming zonal league. “The North West Zone of the Nigeria Volleyball Federation has chosen Katsina State to host the North West Zonal Volleyball League from 6th – 15th April, 2018. “Sequel to this, you have been appointed to serve in the Zonal League Management Committee as a Member.